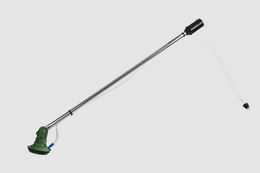 I have recently purchased a new Microfit Herbi sprayer to retire the old model which served us for over three decades. My father bought the original Microfit Herbi 35 years ago when he started growing Christmas trees. Years later, I bought another small farm where I started the first English walnut plantation in Denmark. I use the sprayer to apply glyphosate in the tree rows approximately 3 times a year, as well as in the car park and driveways. It is the easiest thing to use in terms of filling, spraying and cleaning you could ever ask for. I look forward to another 35 years of low chemical use with my new Microfit system. I use my Microfit Herbi to spray under electric fence wires to remove vegetation so there are no shorts. It is easy to carry as it is so light, using so little water. Because so little spray is used with the small droplets it will cover a very long stretch of fence before needing a refill, and very little chemical is released into the environment. I use rechargeable batteries to power the little motor, which not only reduces the cost of running it, but also eliminates waste. 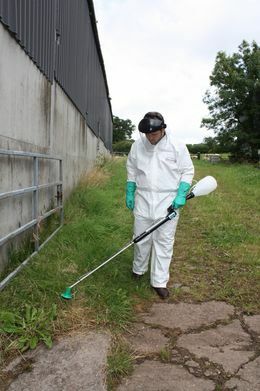 The sprayer can safely be used in conditions that would not be suitable for conventional spraying. I would recommend it to anyone who needs quality equipment. 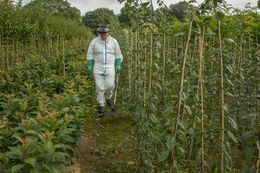 Microfit is a modular spray system which consists of a common Microfit handle and optional interchangeable Herbi, Herbiflex and Herbi Twin spray lances for treating different band widths. 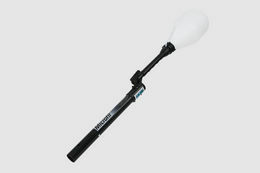 The Microfit handle features an electric on/off motor switch and a separate liquid on/off valve for ease of operation. The Microfit can apply specific CDA formulations or traditional water-based products at total spray volumes of only 10-30 litres/hectare. 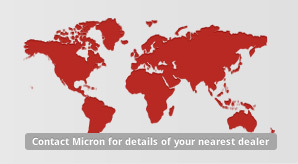 The consistently large spray droplets of 200-300 micron minimise the risk of spray drift. 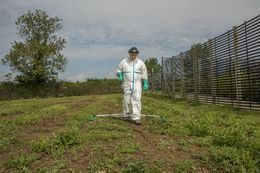 Offering a 1.2m wide circular spray pattern, the Microfit Herbi model is used worldwide for band spraying and can treat over 3 kilometres (about 0.4 hectares) in one hour. 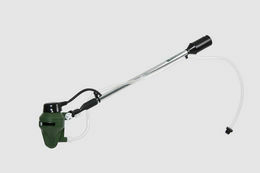 Uses include general clean-up, border, pathway or strip spraying (e.g. 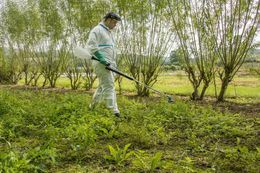 in orchards, forestry and plantations) and spraying of larger areas by making consecutive spray passes. The reduction in mixing and filling operations (with no mixing required with CDA formulations) offers operator safety advantages. 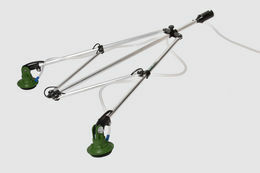 Ideal for narrow band spraying, the Microfit Herbiflex model is available in a choice of two spray heads. The A90 head produces an adjustable 10-50cm band width whereas the B120 head is capable is spraying between 15 and 75cm. An optional spray shield is available with the A90 model for spraying in sensitive crops. The Microfit Herbi Twin model is ideally suited for treating wider band widths between 1.8 and 2.4 metres.